The Philadelphia Union’s dreams of a third straight trip to the U.S. Open Cup final ended at Haaaaarvard on Wednesday night as Brad Knighton made a couple of shootout saves, including one on his old friend and former Philly teammate, Sebastien Le Toux, to knock Philly out of the historic tourney. And yet despite that — and Knighton’s subsequent claim that he was inspired by Pikachu — it was another goalie who stole the show in the dramatic USOC quarterfinal game vs. the New England Revolution. In their glee, the Revs announcers dubbed the Union star “Plastic man” for somehow getting back into the picture and stretching out to save poor Kelyn Rowe’s seemingly wide-open rebound attempt following his equally remarkable stop of Andrew Farrell from point-blank range. But that’s just the kind of stuff he’s been doing all season and why he’ll be starting against Arsenal in the MLS All-Star Game next Thursday. 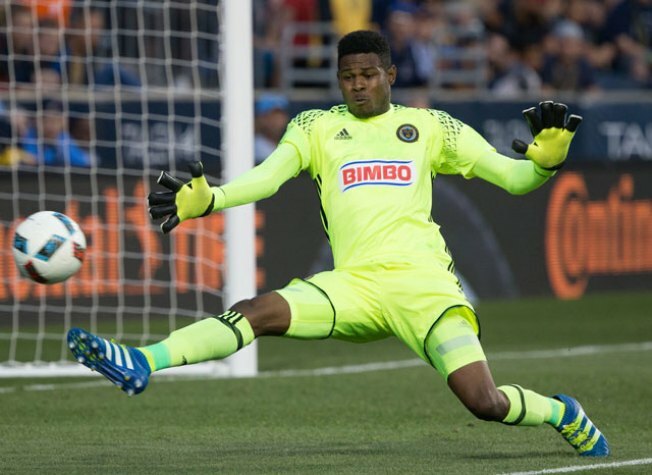 The Union will certainly stew over the fact that their Open Cup magic run dry on a night that Blake had a monster game (yes, he made a few other big saves too) and rookie Fabian Herbers scored a dramatic 90th-minute equalizer to send the game to extra time. And Blake surely be still be kicking himself that he couldn’t do more on the penalty kicks, especially after the Union lost last year’s Open Cup final in a shootout after Blake was subbed out for John McCarthy in an unorthodox move from head coach Jim Curtin.